How to Avoid Back Pain while working a job. Using proper posture may be the last thing on an operator’s mind when out on a call. Instead, they may be focused on avoiding oncoming traffic, figuring out the best way to hook the vehicle, navigating slippery or uneven terrain, and braving the elements. While these are all critical, so too is putting the body in the best position to avoid sprains, strains, and other musculoskeletal injuries. According to the Bureau of Labor Statistics (BLS), strains and sprains are the most common type of injury/illness requiring days away from work for tow truck operators, with back injuries comprising the majority. Back injuries, though extremely common, are not always recognized until it’s too late. 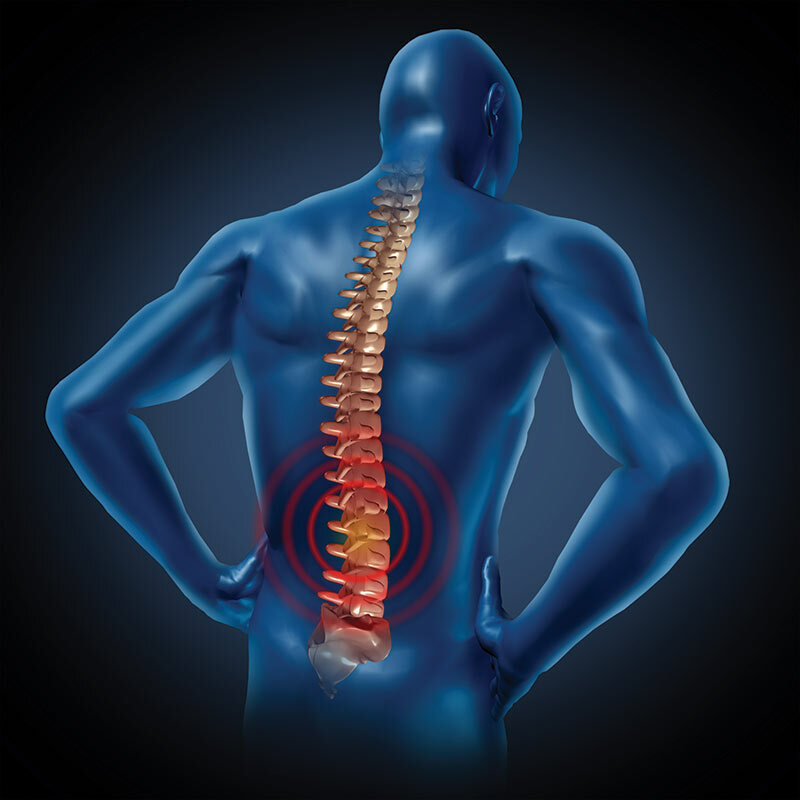 Often, the disorders develop gradually as a result of repeated small traumas to the back. Further, the conditions are often ignored until the symptoms become severe. Tow operators may associate a back injury or sudden pain with a specific heavy lift, but often the real cause is the combined interaction of the heavy lift coupled with years of weakening musculoskeletal support due to repetitive small traumas. So, it’s critical that operators utilize proper technique at all times, even when the back is feeling good! For tow operators, the work environment is constantly changing and, often, the operators don’t find out what they’re dealing with until they arrive at the site. This makes it very challenging to plan ahead. Add to that the variation in temperature, site conditions and location, vehicle condition, and schedule, and it is easy to see why tow operators have a tough time combatting back injuries. That being said, there are measures operators can take to prevent these injuries. How to identify back pain. It is true that no two towing jobs are identical. But, there are similarities in many. And, there’s always one constant: the operator. If the operator can learn to identify the factors that can pose a risk for back injury, he/she can utilize effective safeguards and techniques no matter the specific environment. No matter how great the lifting technique is, if the load is too much, then the body may break down. Operators have to recognize when a manual lift is beyond their physical limits and either use a mechanical aid, get help from another person, use two hands rather than one, move closer to the object being lifted, divide the load into multiple trips, or adjust body posture (in those limited cases where a posture shift will allow the load to be within acceptable limits of the body). Determining an operator’s safe lifting limits is challenging because there is no across-the-board recommendation or standard; the weight a given worker can safely lift varies depending on several factors, including condition of the worker, body posture, closeness to the load, height of the lift, twisting required, and frequency of the lift. An alternative lifting guide that focuses on male/female population percentages capable of performing a two-handed lift with certain characteristics, rather than on maximum weight limits, are the Liberty Mutual Material Handling tables. 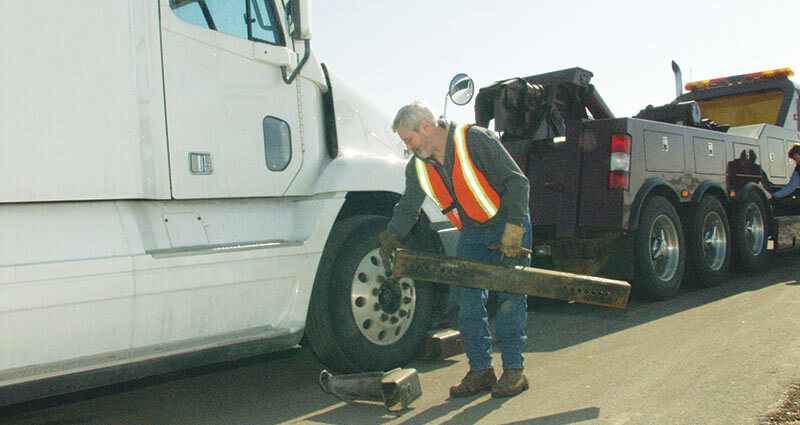 While it is not practical to utilize the NIOSH equation or similar types of guides while out on a towing call, operators can utilize these before going out to a site to get a general idea of a safe weight for various types of work. We’ve all heard the saying “lift with your knees, not your back.” While that statement is a good general rule-of-thumb, there is much more to safe lifting than that. Place the body close to the load—Operators should place their feet close to the object and center themselves over the load, utilizing a wide stance. Maintain neutral and straight spine alignment whenever possible—OSHA has noted that usually, bending at the knees, not the waist, helps maintain proper spine alignment. Get a good grip, using two hands where possible. Lift straight up in a smooth manner, using the legs to push up/ lift the load rather than the back or upper body. Avoid twists and turns and jerking motions. If turns must be made, operators should step to one side. Keep the load in the power zone (above the knees, below the shoulders, and close to the body) where possible. While standing up, keep the object close to the body. When we think of lifting injuries, we often think of a worker trying to pick up a box, container, or similar object to move it from one location to another. While those lifts certainly pose challenges, there are other lifting-related hazards that operators need to be aware of as well, for example, picking up a heavy tool and holding it. If a tow truck operator can remember to balance tools such as impact wrenches, rather than holding them, it can reduce the risk of sprain and strain. Additionally, just as it is proper technique to not twist or turn or make jerking motions while carrying an object on a two-handed lift, operators should avoid these actions when carrying heavy tools and equipment with one hand. Tow operators often find themselves having to work in many awkward positions. When combined with lifting, awkward postures pose a great risk for injury. In particular, bending while lifting forces the back to support the weight of the upper body in addition to the weight being lifted. OSHA notes that bending while lifting places strain on the back even when lifting something as light as a screwdriver. Also, keep in mind that carrying loads on one shoulder, under an arm, or in one hand, creates uneven pressure on the spine. OSHA recommends that materials that must be manually lifted should be placed at “power zone” height, about mid-thigh to mid-chest. Operators should evaluate their trucks for optimal placement of tools and equipment, so that the heaviest and most utilized equipment can be accessed easily and within the power zone, where possible. Further, operators should remove obstructions around tools and equipment so that the body doesn’t have to bend while lifting and the load doesn’t have to be farther away from the body than need be. Tow operators have some built-in ergonomic equipment right on the truck. It is important to take advantage of this equipment; that means keeping it maintained. Obviously, poorly maintained vehicle lift/hoist equipment can pose serious hazards if the load falls. But, beyond that, if handles don’t turn smoothly or levers stick, it can require more force from the operator—posing risk of injury to the back and other body parts. This should extend to the operator’s cab as well. If the driver’s seat isn’t adjusted properly or is worn down, operators may not be getting proper back support. As much time as operators spend in the cab, it’s important the seat provides proper support—over time, this can lead to increased risk for back injury. Operators should make sure their regular vehicle service program includes those items that make the job easier and safer! In addition to the NIOSH Lifting Equation and similar guides, there are many great tools and resources to help operators combat back injuries. For example, the Washington State Department of Labor and Industries maintains an Ergonomics Ideas Bank that may be helpful in finding ways to address various ergonomic issues. Lifting safely requires constant self-reminders. Out on a job site it can be easy to forget to do this. But, if operators can get in the habit, it can save a lifetime of back pain. Bio: Travis Rhoden is an editor with J. J. Keller and Associates, Inc. Contact him at jrhoden@jjkeller.com. For more information on J. J. Keller & Associates, Inc. visit www.jjkeller.com.